A cure for baldness has long eluded scientists, but a group of researchers say they have created a first-of-its kind hair restoration method that may actually get a person to grow new hair. This could be especially helpful for women, burn victims and other hair loss patients who can't be helped with traditional hair loss methods. The researchers had previously found certain cells that cause hair growth -- called dermal papilla cells -- could be harvested from rodents and transplanted back onto their skin to create new follicles. When similar methods were used to create hair on human skin samples, the papilla cells would turn into normal cells and lost their ability to produce hair follicles. The researchers suspected the hair was more transplantable in rodents because their dermal papilla cells spontaneously formed clumps. This allowed the cells to interact and communicate with one another, to ultimately reprogram the skin to form new hair follicles. "This suggested that if we cultured human papillae in such a way as to encourage them to aggregate the way rodent cells do spontaneously, it could create the conditions needed to induce hair growth in human skin," study co-author Claire A. Higgins, an associate research scientist at Columbia, said in a statement. Using a new technique to harvest dermal papillae from humans, the researchers cloned the human papilla cells before transplanting them between layers of human skin taken from newborn foreskins, which typically can't produce new hair. They then grafted the cells and skin onto the backs of mice. The transplants resulted in new hair growth that lasted about six weeks, with DNA tests confirming the new hair follicles were human and matched the original donor. Getting a hair transplant often entails placing tiny grafts containing individual hairs into holes cut into the scalp, WebMD notes. Once those hairs grow, they create the appearance of a fuller head of hair. That's not the same as growing new hair in a spot that didn't have it before -- it's merely transplanting hair from a place where it already existed to a place where it's more visible. Sometimes doctors will prescribe a medication like minoxidil to help the hair grow more following transplantation, but it's not known whether this helps. According to the researchers, one problem with hair transplantation -- especially for women with hair loss -- is when there isn't enough donor hair to get transplanted to the necessary areas. 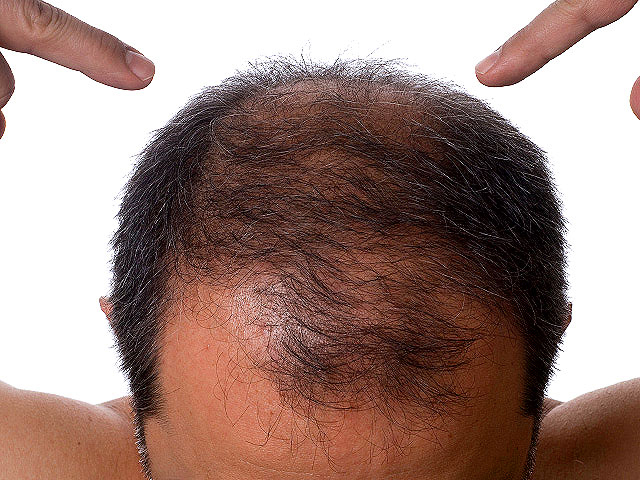 These people also tend to not respond to hair-loss medications. The researchers hope the new procedure can help women and other groups that don't have options. "(The new method) could make hair transplantation available to individuals with a limited number of follicles, including those with female-pattern hair loss, scarring alopecia, and hair loss due to burns," Christiano explained in a statement. Christiano said the procedure may completely change medical care for hair loss, which is now restricted largely to treating men with stable male-pattern baldness. "Current hair-loss medications tend to slow the loss of hair follicles or potentially stimulate the growth of existing hairs, but they do not create new hair follicles. Neither do conventional hair transplants, which relocate a set number of hairs from the back of the scalp to the front," she said. "Our method, in contrast, has the potential to actually grow new follicles using a patient's own cells. This could greatly expand the utility of hair restoration surgery to women and to younger patients." The New York Times reports Christiano got into this field in the 1990s due to her own struggles with alopecia areata, a condition that caused her to develop bald spots in the back of her head despite having luxurious locks in the front. Over time, she has collaborated with researchers across the country to help identify genes linked to alopecia. Much more research needs to be done on cells and skin tissues to fully understand how this mechanism behind the new treatment works, according to the authors. They anticipate clinical trials could begin in the near future. The new research was published Oct. 21 in Proceedings of the National Academy of Sciences.